Use FME to manipulate and transform your data exactly for your needs. There are a variety of tools to help build your own customized workflow for your XML dataset. With over 400 supported formats and applications, your options for eXtensible markup language conversions are endless! XML (eXtensible Markup Language) is a very commonly used data format due to its flexibility and ability to be customized specifically for each user's needs. It was developed by and is maintained by the World Wide Web Consortium (W3C). XML files are written in plain text that is both human and machine readable meaning they are both straightforward and robust, at the same time. With FME you can transform your data to or from the XML format to make all your data dreams come true! Need to bring your XML files into applications like Google Drive, HDFS (Hadoop Distributed File System) or ProjectWise? Look no further! 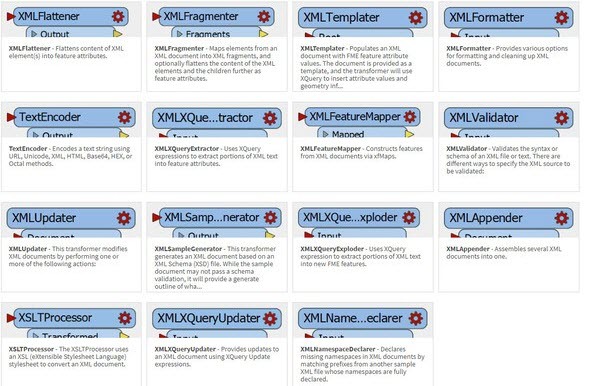 Simply add your file via an XML Reader, add transformers to manipulate your data, and connect it directly into the system of your choice. There are a variety of XML based web services like WSDL, SOAP, RFD, and RSS. With FME you can take advantage of these services to generate presentable data. For example, convert XML to KML to show traffic updates directly on Google Earth! Many REST APIs are made to accept and respond to XML formatted data too! With the XMLTemplater transformer, you can quickly transform your data into the eXtensible markup language format with the application schema laid out for you. Ensure that your data is ready to go by using the XMLValidator to ensure that the syntax is correctly implemented before writing your new file. FME is designed to improve your productivity so you can spend more time using your data and less time fighting with it. Once configured in FME’s intuitive drag-and-drop interface, XML transformation workflows can run automatically in the background using FME Server. 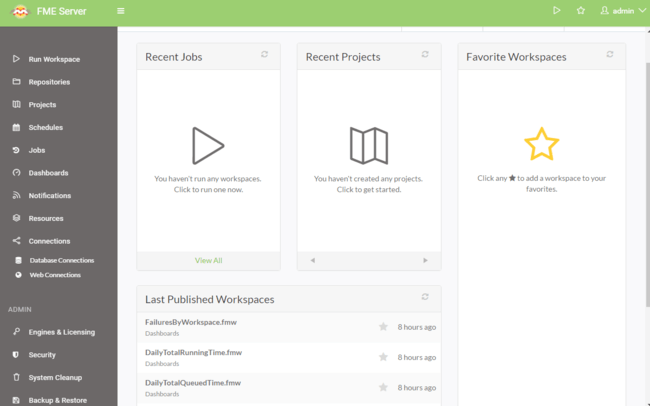 Set up schedules or triggers to run your workflow and deliver results to those who need it. We’ve done our homework and have provided a large collection of eXtensible markup language resources to help you get started. 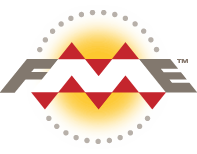 FME isn’t just an XML software; it’s much more than that! Try a variety of tutorials and scenarios to learn how to integrate XML into your team’s data projects. If you get stuck, feel free to send us a message on our live chat! We get it. XML isn’t the easiest language to use, but with a little bit of help, you can learn to love it! To prove it, here is a large collection of material that Safe Software (mostly our co-founder, Don Murray, aka. XML’s #1 fan) has created explaining why XML is so great! Is XML the Silver Bullet for Data Exchange? eXtensible Markup Language or XML files are a popular data format due to its simplicity and usability. It is software and hardware independent format used for transporting and storing data. FME lets you integrate many applications and file formats. Here are some of the ways our users convert XML (eXtensible Markup Language). The table below outlines how XML (eXtensible Markup Language) is supported by our different FME products, and on which platform(s) the reader and/or writer runs.